Check out this super cute heart patterned cake roll from Dulce Delight, who says the heart polka dot pattern is very simple to make. 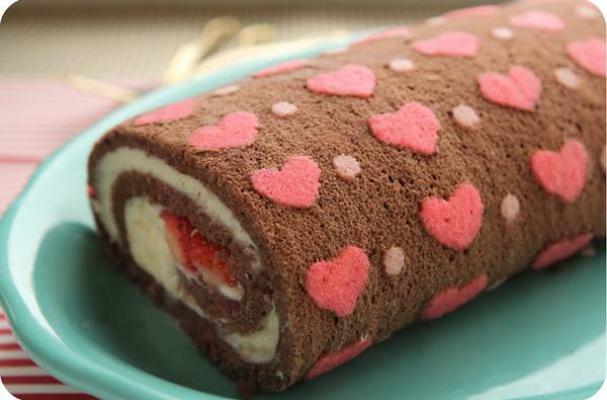 The hearts are colored with a raspberry syrup, which is a super amazing choice to go with the cocoa cake roll. Click here to get a better look at this deliciously cute chocolate swiss roll.